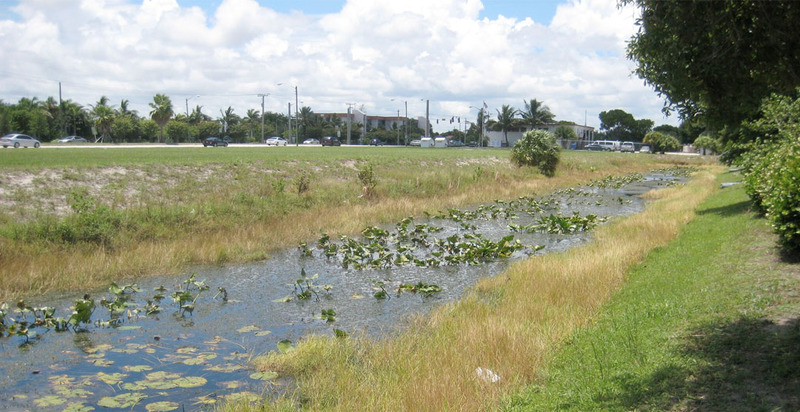 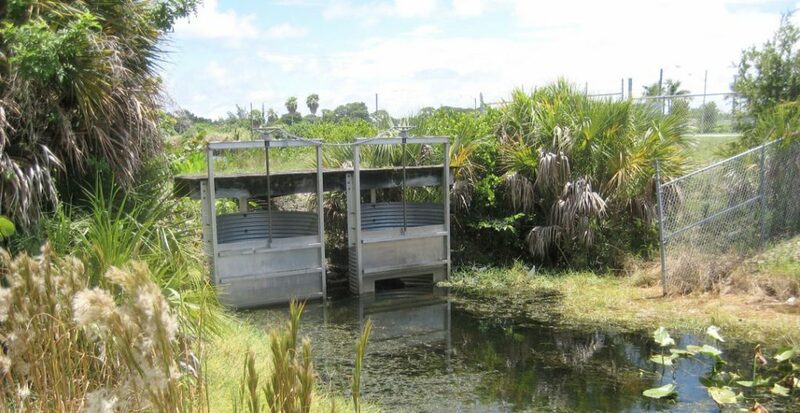 West Palm Beach County (Lantana Airport) – Stormwater Management Master Plan. 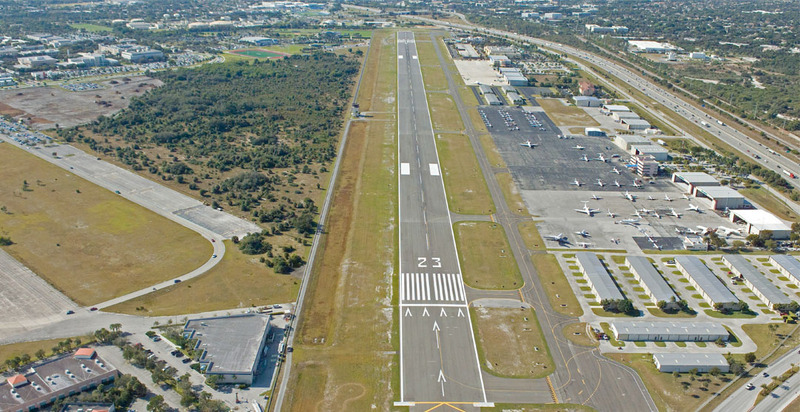 The purpose of the project is to address pavement condition and foreign object debris (FOD) generation of Taxiway D between Runway 10L-28R and Runway 32 End and the entire length of Taxiway E. The project will also address the FAA airfield “Hotspot” at the intersection of Taxiway E, Taxiway L, and Taxiway L3 through the construction of new taxiway connectors between the Southeast General Aviation Apron and Taxiway L to the east and west of Taxiway L3. 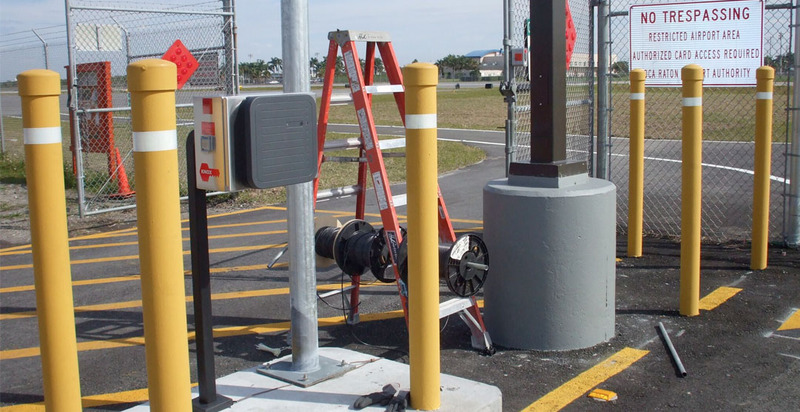 The new taxiway connectors will be constructed in order to eliminate the existing direct access from the apron to Runway 10L-28R at the intersection of Taxiways E, L and L3, per the new requirements of Federal Aviation Administration (FAA) Advisory Circular (AC) 150/5300-13A. 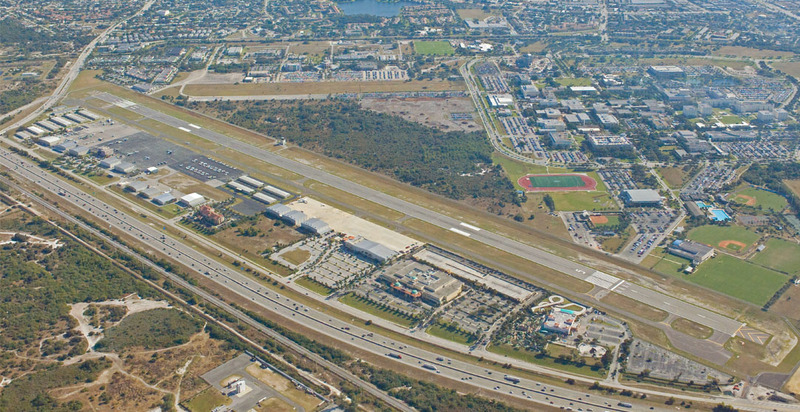 In addition, the project includes geometry revisions along the length of Taxiway E and the intersection with Taxiway K as well as drainage improvements consistent with the Stormwater Management Master Plan. 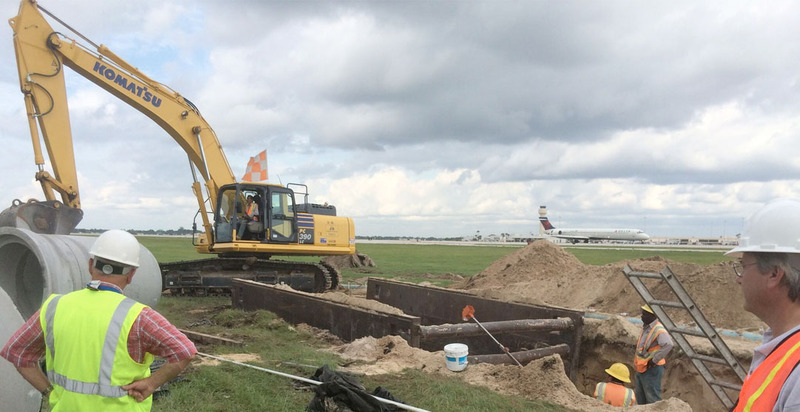 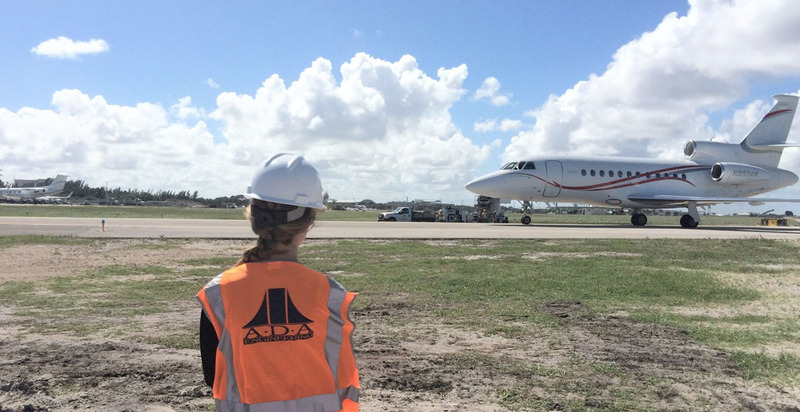 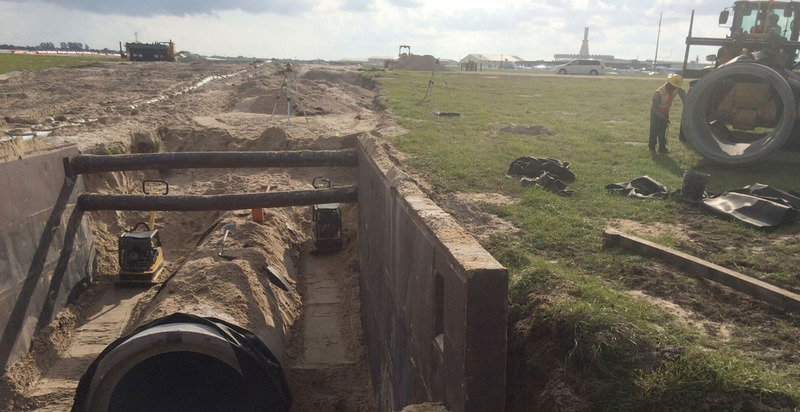 ADA provided basic services including preparation of construction documents for the supplemental drainage related features of the Taxiway D and E Rehabilitation / Reconstruction project. 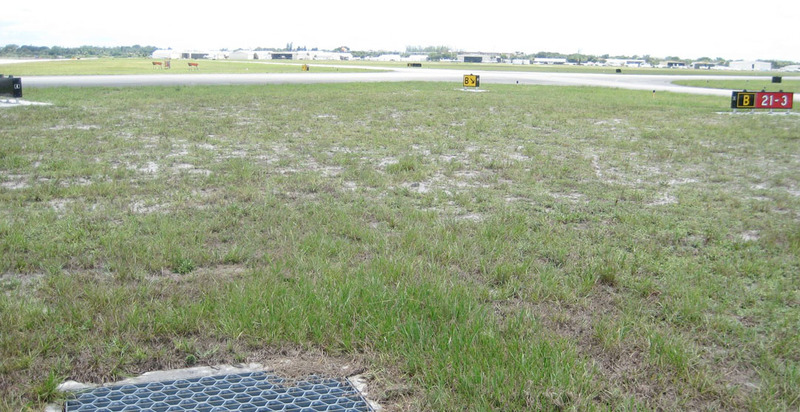 This supplemental analysis and plan preparation was done to develop a plan for abandoning a drainage pipe under Runway 10L-28R west of Taxiway D and reconnection to Basin 3 of the portion of the airfield bounded by Taxiway D to the east, Runway 10L-28R to the north and Runway 14-32 to the west. 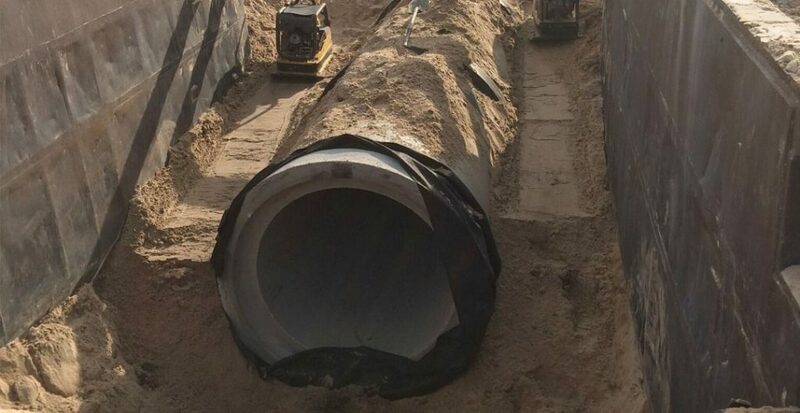 In addition to the micro-tunneling design, ADA also designed the Maintenance of Traffic (MOT) for the entire project and was responsible for the permitting of the entire water main through the regulatory agencies including FDOT. 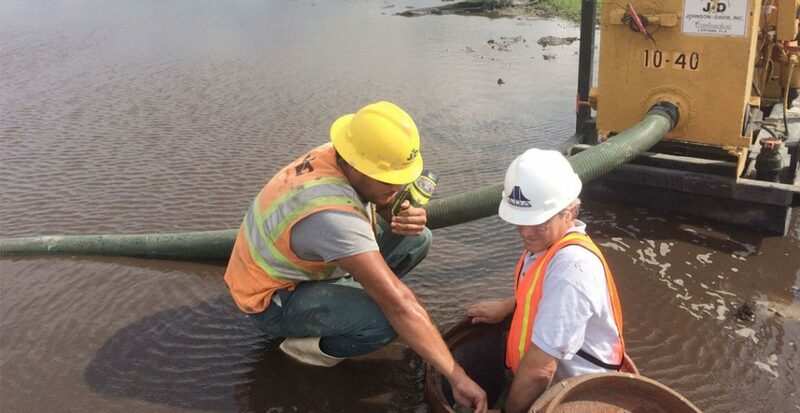 Periodic site visits were performed during the micro-tunneling operation in order to certify the micro-tunneling portion of the water main.